On Thursday, HB 24 passed the House 38-0, with three absences. 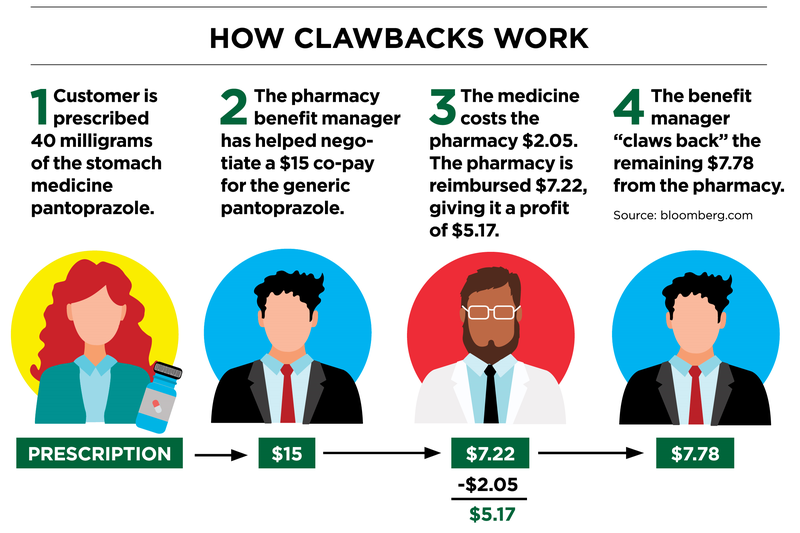 The bill ‘would prohibit insurers and pharmacy benefit managers from engaging in the practice of “clawbacks,” which is a rather fraudulent scheme that occurs when the total cost of a prescription drug to an insurer or pharmacy benefits manager is less than a patient’s co-pay, the pharmacy benefits manager keeps the difference. Who does the pharmacy benefits manager work for? Themselves. They are a third-party administrator of prescription drug programs for commercial health plans, self-insured employer plans, Medicare Part D plans, the Federal Employees Health Benefits Program (FEHBP), and state government employee plans. They essentially are independent mediators between pharmacies, insurance companies and drug companies. A fraud of pennies quickly adds up to millions, and the pharmacy benefits managers probably thought no one was watching. A fraud so obvious that even the Republicans couldn’t defend it. WHERE IS THE BILL NOW? Waiting to be placed in a Senate Committee.